I have shared presentations, blogs and podcasts concerning educators’ frequent over focus on teaching with too limited a focus on learning. Teachers look at standards and ask, “How can I teach this?” rather than, “What are the ways that our students can and would want to learn these standards?” There is a sense of control with the teaching view that’s much less certain with a learning view. I suggest that grade-level and curriculum or department meetings become PLC’s when the focus shifts to learning. As teachers jointly observe and assess students and think about what they know about their students and the required standards, they can create possibilities for learning opportunities. By engaging students in those possibilities (experimenting) and observing learners’ reactions, teachers gain insights and understanding that guide their feedback, modification, or the design of the next learning opportunity. 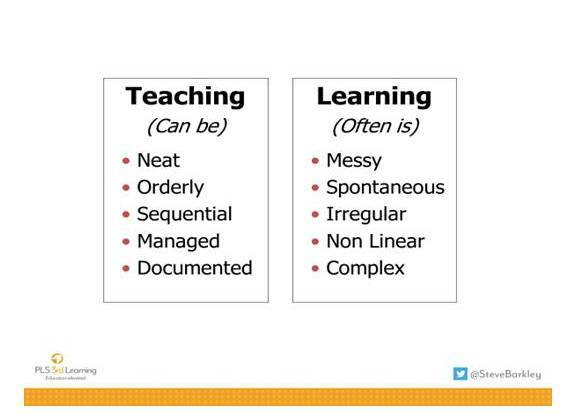 A quick cautionary note here… During a presentation on teaching vs. learning, I had a teacher say, “I’ve known this all along. I’ve told my principal there isn’t a need for planning.” Not the message I was hoping to communicate. I assured him that the planning for teaching was a critical element in being able to focus on learning. Teaching skills are critical to create a learning focused classroom. 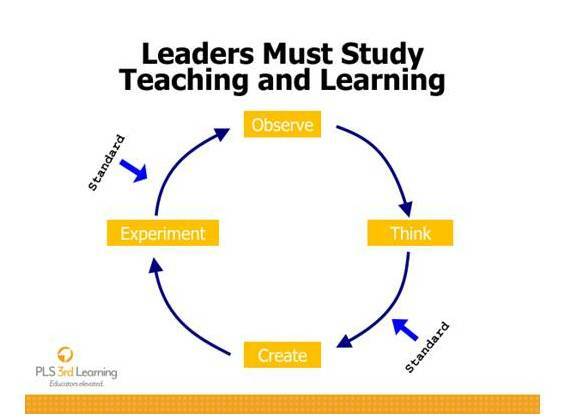 The problem is when teaching decisions are made without continuous reflection on learning. I recall meeting a teacher in the fall who told me she had plans done until Christmas. I was rather concerned as she hadn’t met the learners yet. 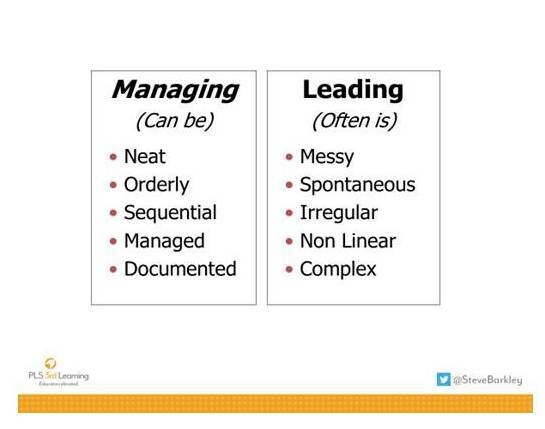 I believe school leaders need to examine a very similar dilemma between the roles of managing and leading. There is a sense of control with the managing view that’s much less certain with a leading view. While some teachers want to require students to learn, real learning rarely occurs through compliance. Teachers as observers, thinkers, creators, and experimenters work and learn alongside their students and collaborating colleagues, creating continuous learning opportunities for all. The same is true for school leaders. It is unlikely that managing staff to comply will produce the desired student learning outcomes. School leaders need to consistently study teaching and learning alongside their teachers and collaborating leadership team members, creating and promoting continuous learning for all. Just as teaching skills are critical to create learning environments, managing skills are crucial for school leaders to have the opportunity to lead. The decision is when to manage and when to lead. It’s common when students are not responding as expected to a learning design for teachers to pull back control and switch to a teaching mode, often too soon, stalling the learning potential. The same can be true of school administrators, anxious to show quick results, they switch into a management role. “Managers work to get their employees to do what they did yesterday, but a little faster and a little cheaper. How would you define the “tools” that teachers provide students to maximize their learning outcomes? What are the environments and relationships that emerge when the focus is on learning? How would you define the “tools” that you provide teachers to maximize their teaching that builds their learning to impact student learning? What are the environments and relationships that emerge when your focus is on leading?